This morning I hung up my collection of Victorian Transferware Tiles on the wall I just decorative painted in the bathroom. I'm real happy with the way it all came together. 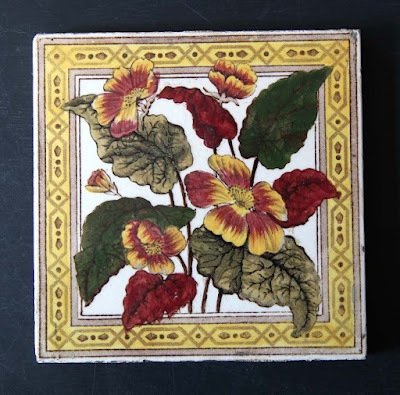 I purchased these tiles at flea markets over 20 years ago. At that point, they were readily available and not very expensive. 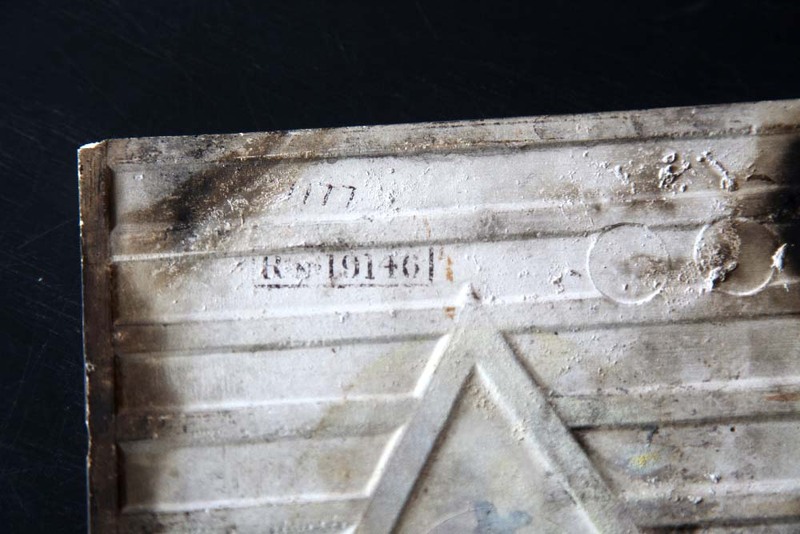 Most of the tiles have smoky stains on the back which means they were really used on fireplaces. The dealer I got them from said he bought them as salvage in London and shipped them to the US. I see that they have gone up in price a huge amount. Here are a whole bunch on sale on Ruby Lane. I barely ever see any for sale at flea markets anymore. Perhaps they have gone out of style or perhaps the supply has dried up. I also see that someone is reproducing the designs on Zazzle on modern tiles that are 4". 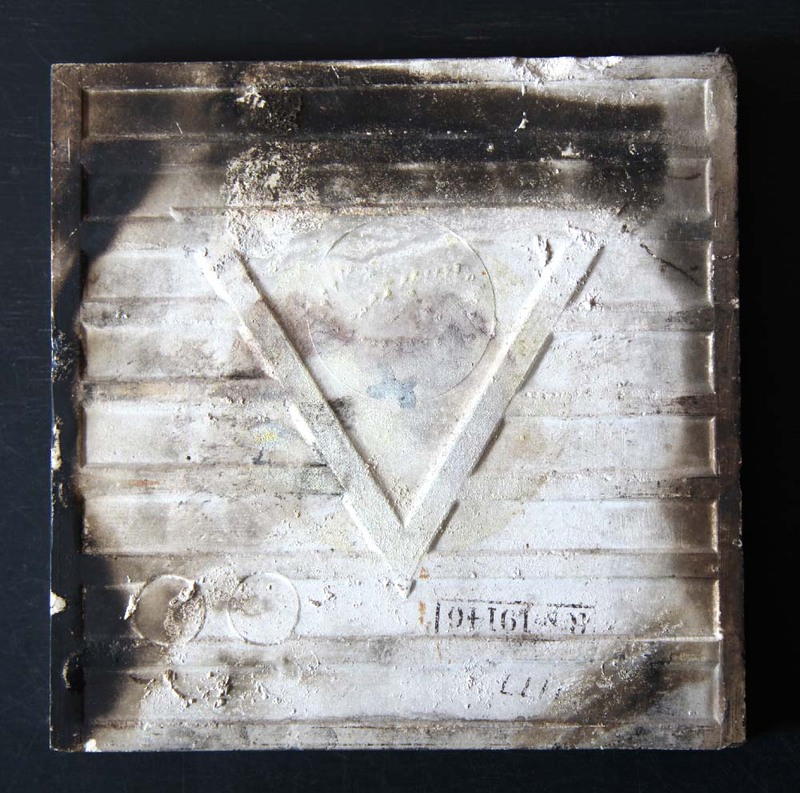 (My originals are at least 6" square.) Interesting. Each of mine has an id number on the back. To hang the tiles, I use these fantastic plate hangers that I purchased at an antique store many years ago. That was before the internet so I bought extras in case I could never find them again. Lo and behold, they are available here. 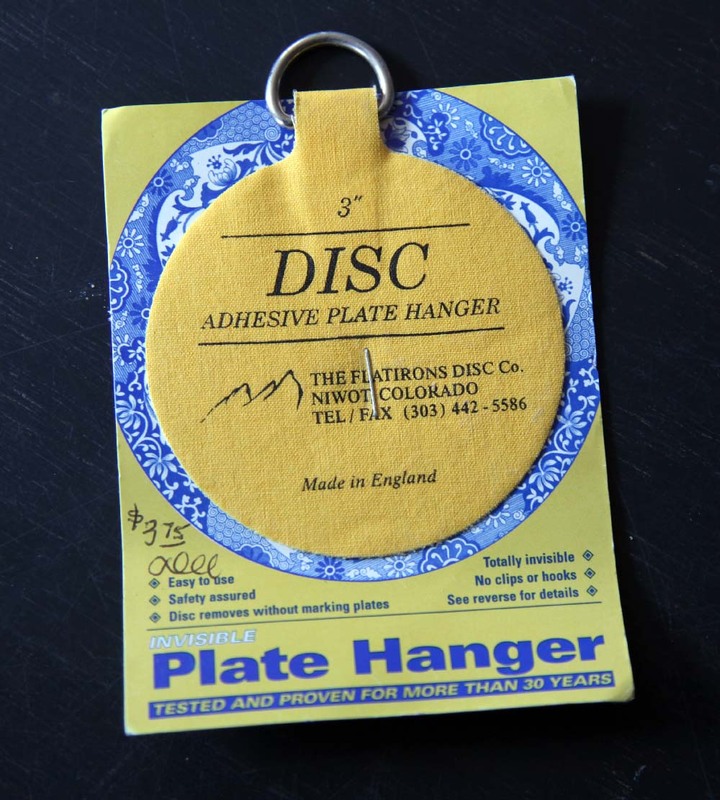 I highly recommend them for hanging tiles and plates. None of mine have fallen down ever and they have been up for 15 years. You have to have a clean surface. The fabric disc is soaked in water for a few minutes and then you stick it on your plate or tile. Let it dry overnight and voila. Super easy. Someone left a question in the comments about the brushes I used. I used the smallest brush to paint the outside of the undulating design. This is a Royal brush that I also use for pottery, painting with gouache, and acrylics. I love these brushes. I have several that I am have been using for over 20 years! Here is a set with a similar one to mine - they used to have wooden handles but are now plastic. I use the chip brush (at top) to fill in the space. 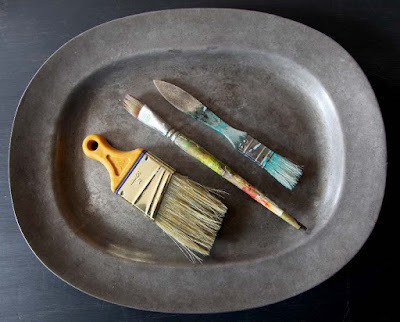 I like these because it is easy to get an antique finish with them because they are kind of thin and and don't hold much paint. That was my goal - to make the faux wallpaper look old. You can read more about their varied uses here. They are very inexpensive. I also discovered the china bristle brush with the short handle the other day when I was buying paint. It is nice quality and the handle is soft and flexible. I'm using it to paint the bathtub and it is working nicely. It was recommended for milk paint although I am using latex. I conferred with Julia about the bathtub scribbles and she said she didn't even know she did them. So I have covered them up and am working on a decoration on the tub. That is phase two of the bathroom re-do. 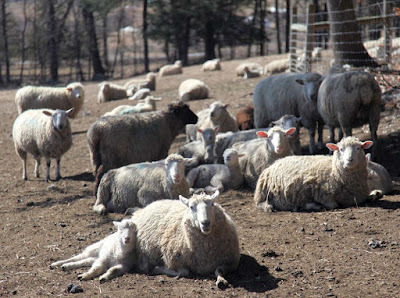 It's a beautiful day and the sheep are enjoying the sun. We had more rain so the mud is back. One day it will drain away but for now, it is here to stay as there is more rain coming this week. 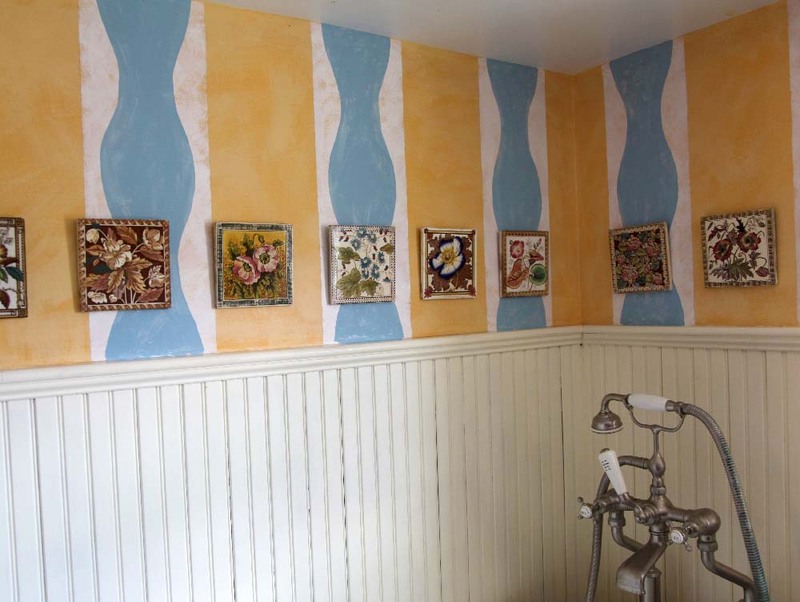 Kristin, your decorative painting and tile hanging have truly transformed the bathroom walls! As always, your fabulous color sense sings a beautiful song. 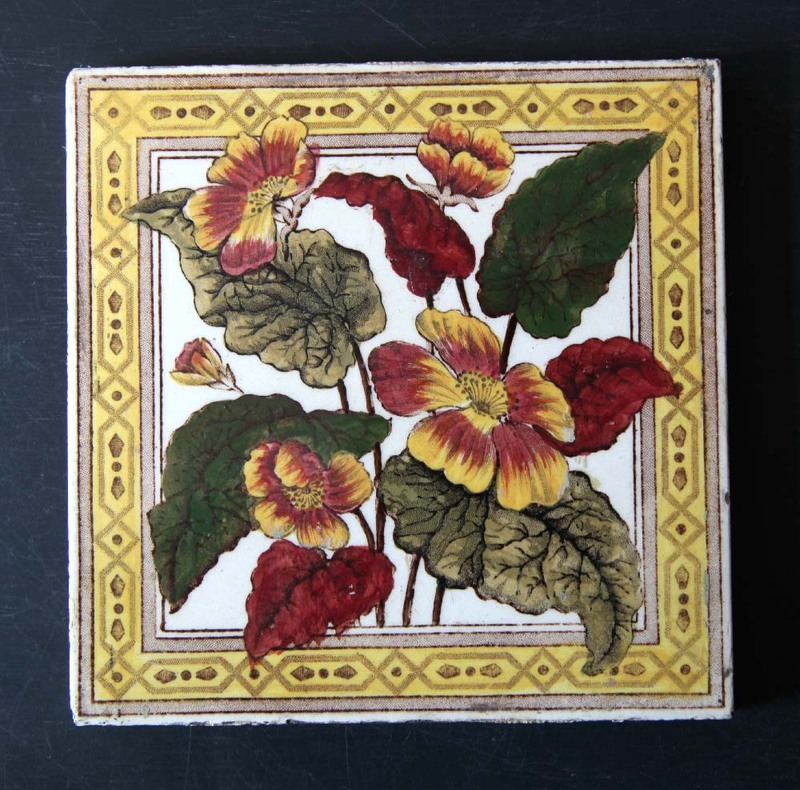 They tiles are so lovely! They look great on the walls. Thanks for sharing! Those short handled brushes feel like a hand extension. Can't explain it, but they just fit right into the curve of my thumb web, and are my favorite now for lots of things.